Oooo, I like the bottom one best. 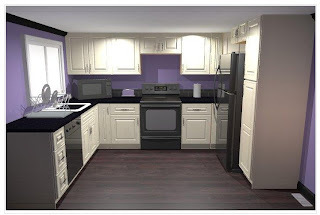 I like the addition cabinet space to the right. Very nice. i join our professeur on this, also like the last one best! 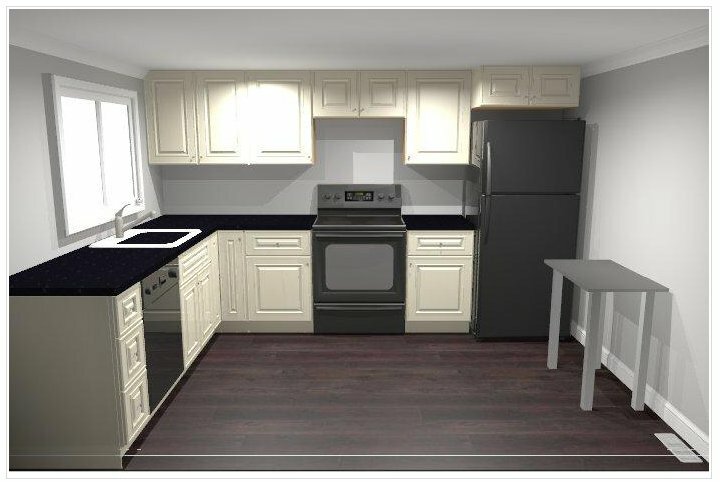 Add my vote for the third picture as well, although as some one short on counter space I can see the major appeal of the extra counter. Thanks, all! The last one is my favorite also. 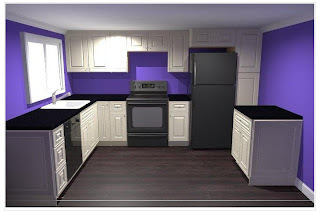 The walls are a more reasonable shade of purple, and I really like the idea of having a pantry. If you move the microwave above the stove you can get the vent up there as well. I, also, favor the last one.